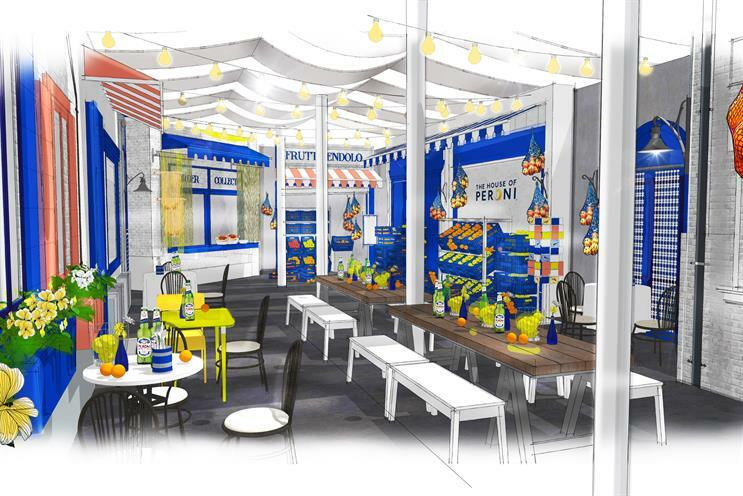 This year's House of Peroni, the annual pop-up, will focus on celebrating Italian citrus. The premium lager brand will show off the Peroni Ambra, a limited edition beer inspired by the "aperitivo occasion which combines Peroni Nastro Azzurro with the sharpness of rare Italian Chinotto fruit". The event will give people a taste of the streets of Italy where they can "reimagine citrus and explore previously undiscovered flavour combinations". Guests will enter a lively fruttivendolo or fruit market which will have an array of citrus fruits. A gelato cart will feature ricotta and lemon ice cream. A secret bar will be hosted by Simone Caporale as the master of mixology who, along with his team, has created bespoke Peroni cocktails with a citrus twist. Francesco Mazzei is also back as master of taste to provide a "zesty" menu of Italian street food dishes such as egg fettuccine with Grana Padano, lemon and pink pepper, lemon and rosemary meatballs, as well as light bites including pumpkin and orange croquettes. There will also be a bar citrus which will have Italo house music. The House of Peroni event takes place at N&C Showrooms, 3-10 Shoreditch High Street from 5 October to 15 October. For London Cocktail Week Peroni will pop-up with an Italian-style street stall around the corner at Spitalfields from today.